Derby's waste - a rubbish blog ! : The candidates are not always greener on the other side! The candidates are not always greener on the other side! As the general election approaches some of us turn to candidates that support our green values. 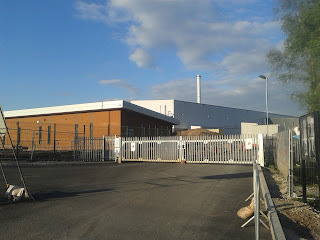 For some of us issues like recycling, air quality and incineration are key issues in our local communities and that could be considered a major issue for the city of Derby where recycling has collapsed, air quality is now being focused on by DEFRA and a new waste incineration plant is due to open soon, all of which is currently overseen locally by a Labour council. The fight to improve recycling, air quality and the fight against a recycling guzzling incineration plant would you would expect be championed by the Green Party. "the Tories and UKIP represent a regressive alliance. Its clear for this country to move forward a more equitable and sustainable future voters in Derby North should stand behind Chris Williamson a principled and strong local candidate with deep roots in the community"
"we base ourselves on national issues, this is no endorsement of Lab on a local level. Also, we can't possibly stand everywhere." But what about the candidate the Greens are supporting by not putting forward a candidate and by their encouragement of their supporters to vote for Chris Williamson? Chris Williamson models himself as a supporter of wildlife and in the past has campaigned against issues such as fox hunting but at the same time he has also been a supporter of the controversial Resource Recovery Solutions waste incineration plant being built in Sinfin, Derby - found in the neighbouring Derby South constituency. 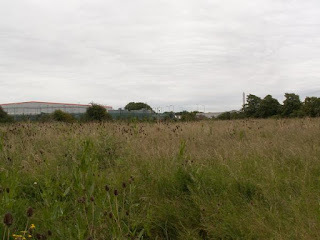 A green oasis in the heart of a residential and industrial area of the city of Derby the Sinfin Tannery site was home to a broad range of wildlife which had naturalised on an ex brownfield site. To make the site even more special the site was home to the only known population of common lizards in the city. In a few short weeks the wildlife oasis shown below was history. In mid August 2014 Chris Williamson seemed over the moon when the Green Investment Bank granted the project funding. He took to Twitter to make clear his pleasure ! So we have in Derby North a Labour candidate who has supported the destruction of a green oasis in the city of Derby which will burn large volumes of potentially recyclable materials for over two decades and which will strangle recycling in the city while driving down air quality. This is then waved through by the Green Party in Derbyshire because somehow national issues are more important but this is the GREEN PARTY! the very party those concerned about environmental issues would lend their support to in an election and yet in Derbyshire they are encouraging their supporters in Derby North to vote for someone who supported the destruction of a green open space so that an inefficient waste incineration plant could be constructed. 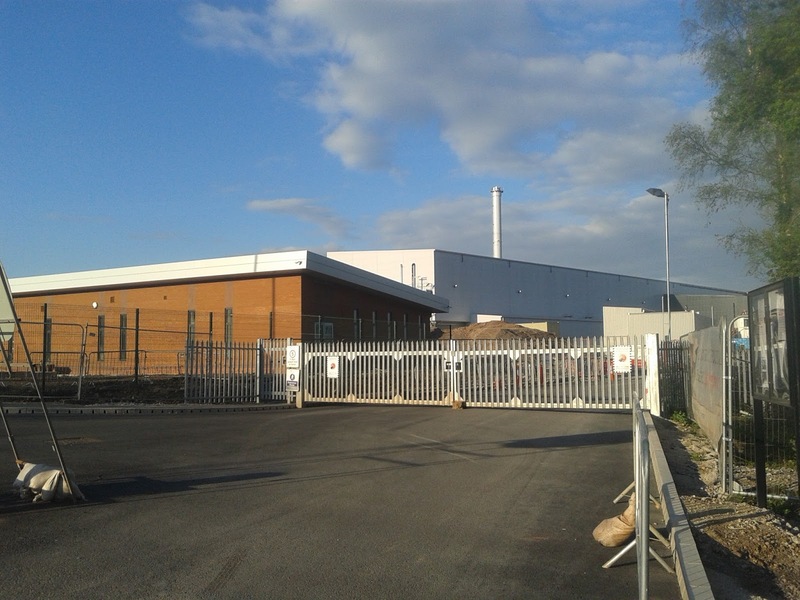 But then it becomes even more confusing with the added twist that the Green Party have put forward a candidate - Ian Sleeman in Derby South - where the controversial waste incineration plant that Chris Williamson supports is being constructed. "I would fight to reduce the harm caused by the Sinfin incinerator"
Hold on a minute Marten Kats the Chairman of the Derbyshire Green Party is saying this is about national issues - but isn't resource management, air quality and wildlife a set of national issues? In an attempt to side step the issue of lending support to a Labour candidate with questionable green credentials Mr Kats plays the national issues card but isn't it all rather odd for one of his own candidates to use a local green issue in his campaign when Mr Kats is trying to deflect criticism of his parties support for a Labour Party candidate that is at odds with the stance of his Derby South Green candidate? Politics like grass isn't always greener on the other side!